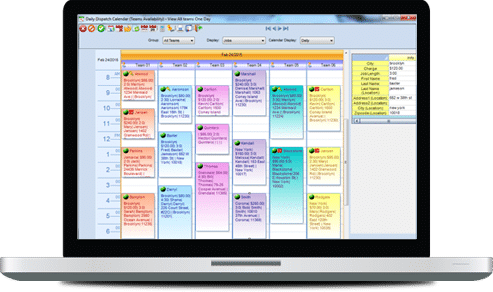 Web Express is the online version of Scheduling Manager, the well-known and widely used employee scheduling and job scheduling software for field service businesses. 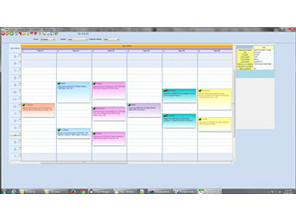 It functions just like its close relative, Scheduling Manager Gemini, which runs on any Windows-based PC or network. 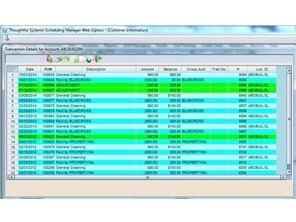 Unlike many online job scheduling software programs, which have limited functionality, Web Express offers a huge wealth of features to the user. Maintain and track all aspects of customer information. Besides the basic information to identify a customer (name, address, etc. ), the Web Express allows you to store multiple phone numbers and e-mail addresses for each customer, and lets you define user-defined fields to store whatever type of information youj want. Besides that, you can maintain extensive notes on each customer, store credit card information (suitably encrypted) and much more. Besides the customer information tracking capabilities in our online service business software, you can track extensive information concerning leads. This allows you to send out individual or bulk e-mails to prospects for marketing purposes. This is a valuable addition to the software. You can also create and e-mail out estimates. When a lead becomes a customer, you simply indicate this with a mouse-click and the information is immediately transferred. The lead is now a customer! You don’t need to maintain separate software programs for marketing any longer. The convenience of having all information and functionality in one convenient program is important! 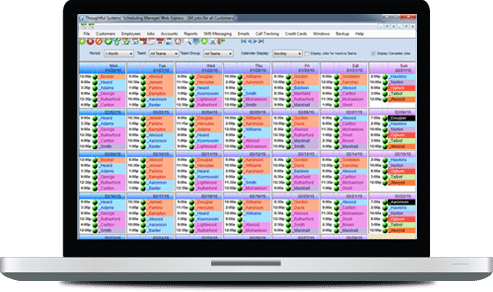 Perform job scheduling and workforce management functions using one or more of the convenient, easy-to-use interactive Calendars. 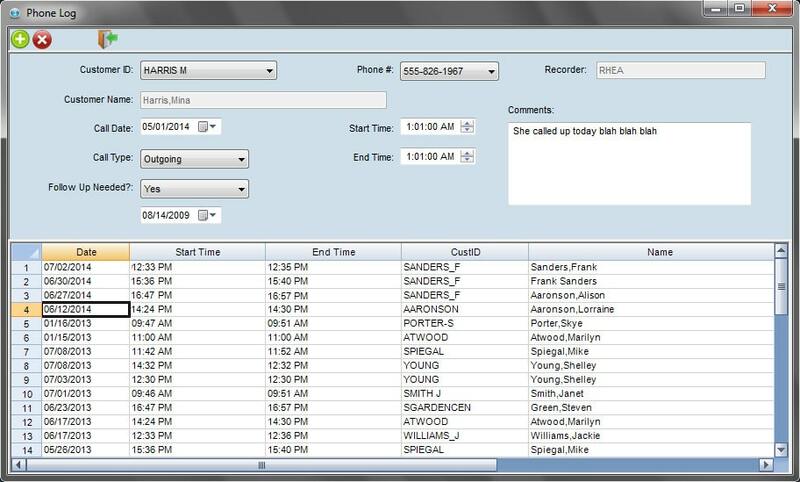 Payroll information is recorded for each job completed. Convenient payroll reports can be viewed and/or printed for any time period Export timecard/payroll data to other programs, if you are using external payroll software, such as QuickBooks payroll, ADP, Paychex, etc. 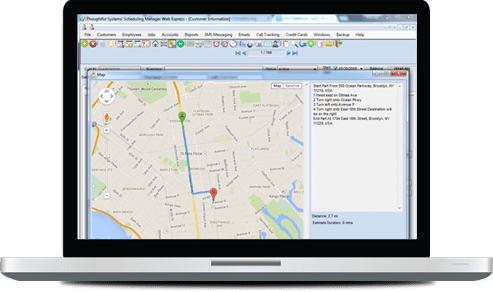 Create maps showing directions to each customer’s location. 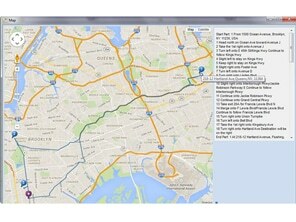 Create route maps showing the route for each team for the day. Also, use the optimization features to optimize routes. This can save you time on each route for each day, this saving you substantial amounts of money! 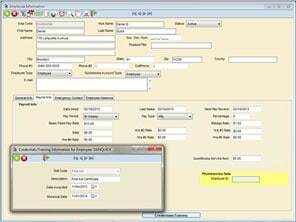 Track accounts receivable for all customers with ease. You no longer need to maintain several different pieces of software — one for customer information, one for schedules and one for accounting, and so on. 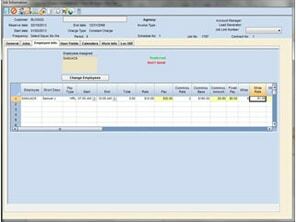 In Scheduling Manager, you click once to indicate a job is complete and an invoice is automatically created. 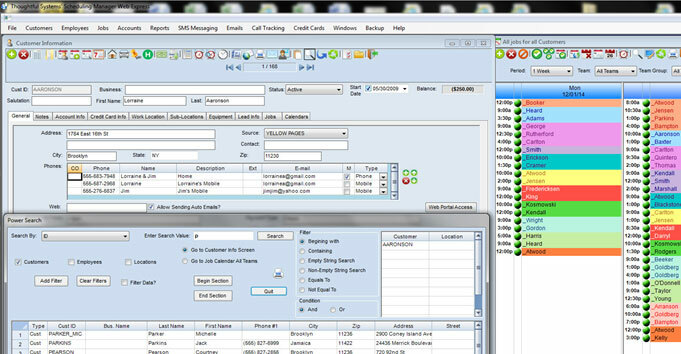 The customer’s account balance is immediately updated, and displayed on the screen when you access her information. Payment information is also immediately updated. 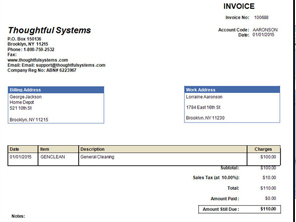 Invoices can be automatically created when a job is closed out. 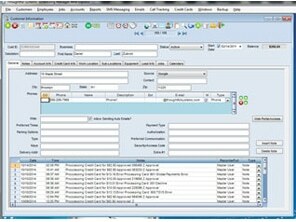 You can also create manual invoices, if desired. Over 10 styles of invoices included. 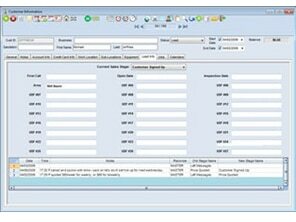 Customize the invoice format yourself, if desired. Many different invoicing options included. For example, you can choose whether to create an invoice for each job, or use the Combined Invoicing function to create an invoice for a series of jobs. You might also want to redirect invoices in some way. For example, invoices go to the sub-contractor instead of the client, or invoices are sent to an agency or other third party instead of to the customer. 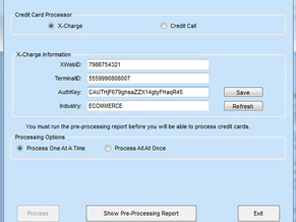 Process credit cards directly from within Scheduling Manager Web Express version. Just as in Scheduling Manager Gemini, desktop version, you can enter a credit card for a customer, and encrypt it immediately. Then, you run that credit card once payment has become due. Security is assured, as you don’t have the client’s credit card number on file, and neither do we. It is strode in encrypted from in the servers of the credit card processing company. This credit card processing capability has saved many of our users countless hours. The Web Express also interfaces with other popular software programs, such as Sage, MYOB, Outlook, Microsoft Word, Microsoft Excel and others. 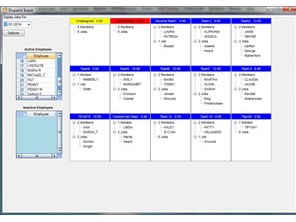 Of course, we also interface with our own software, in particular the Scheduling Manager Gemini version. If you have been using Scheduling Manager desktop version, and want to switch to Web Express, data conversion is as simple as 1-2-3. 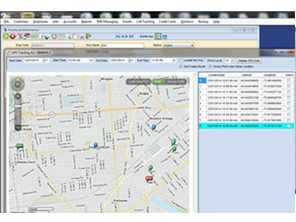 Interface also available for our mobile software app., SM-Mobile, and for our Customer-Employee Web Portal.